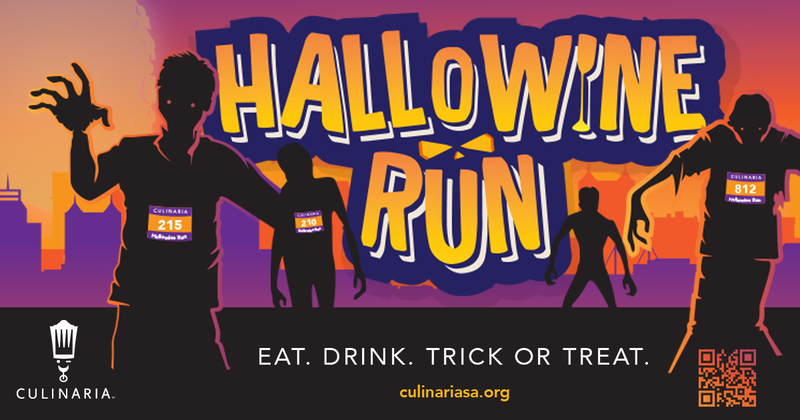 With Halloween just around the corner – Culinaria, Texas’ premier wine and food nonprofit organization, has something spooky and spectacular planned. On October 27, 2018, don your best costume and head to The Shops at La Cantera for the Hallowine Run & Little Monster Dash! Celebrate the spirit of Halloween with the best local chefs, beverages, vendors and Halloween flair that the city offers. The Hallowine Run is now a haunting 4 miler fun run – dress up in costume, bring the kiddos to run the Little Monster Dash, trick or treat and dance the day away! Of course, Hallowine Run participants and their families will enjoy a post-run celebration that promotes delicious eats, bewitching beverages and a decadent lifestyle. All in all, the Hallowine Run & Little Monster Dash is the San Antonio event that runners and runners-at-heart will enjoy! Packet Pick-Up is a must for registered participants in the Hallowine Run - as that is where you will pick up your bib that includes the timing chip and t-shirt. Anyone who is not registered or running is also welcome to visit - it is free and open to the public. Attendees who would like to register for the 4-Miler will also be able to do so then as space allows. Culinaria welcomes any and all kinds of runners (and walkers!) to the Hallowine Run. 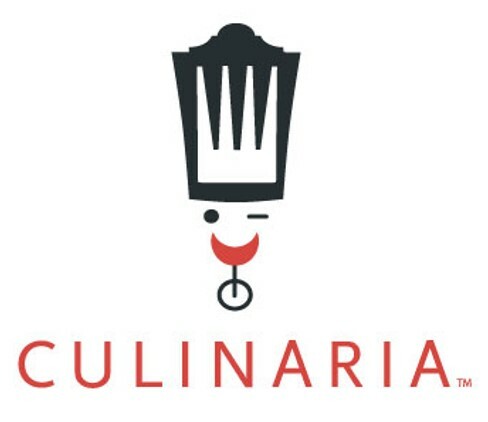 This race highlights all of the components of Culinaria - the food, the drinks and the fun! A fun component for the Hallowine Run is our Tot Trot – open to children ages 11 years old and younger. Friends, family members and visitors are able to enjoy our Race Day Reception by purchasing a Race Reception Ticket. Tickets are $20 for ages 5+ to take part in the after party and enjoy the food and festivities after the conclusion of the race. Race Reception Tickets (Spectator Badges) will be available for purchase at Packet Pickup with a valid driver's license and on Race Day prior to the Race Start at the Culinaria booth and on the Race Registration site. Spectator badges must be picked up at Packet Pickup or on Race Day at the Culinaria Booth. Individuals who do not have proof of purchase or an I.D. will not be able to collect their badge and will not be served at the Reception. Individuals who solely would like to come out and support their loved ones during the race may do so free of charge. Parking is free and located around The Shops at La Cantera. Arrive early and get a good spot close to the Start Line near The Falls. Carpooling is encouraged. Athletic apparel and regular running shoes are recommended. Runners must be wearing their race bib (timing chip included) on the front of their shirt throughout the entire race to determine an accurate Race Time. Please prepare accordingly for the weather, however in the event of inclement weather the event may be rescheduled for a later date. Notice of cancellation due to weather will be sent via email, and will also be posted on Culinaria social media channels. T-Shirt sizes are unisex sizes and decided by the size marked on your registration entry. No trades or exchanges, please. The Start Line corral system allows for a smooth race start for participants of varying levels. Based on the estimated mile time you provided on your race entry form, we ask you to correspond with the appropriate corral number for the start of the race. If you are running with a baby stroller or jogger, please understand that you must report to the back of the starting line to avoid injury of other runners. In an effort to provide every one of our participants with as comfortable a run as possible, the Wave Start will be incorporated into the Hallowine Run. Participants are assigned to an appropriate corral based on their average mile time submitted on their entry form. When the gun fires, the first corral will be released. The rest of the participants will be held at the start line. At pre-determined intervals the next corral will be released. By using this staggered starting method, the pack will be spread out and allow every runner to settle into their racing rhythm from the first step right to the finish line.